Assault Lawyers Penrith – An assault offence is a serious criminal offence. If you are convicted for an assault offence, not only is there the possibility of full time custody (imprisonment) but also you will have a criminal record, which will drastically affect your employment prospects as well as your ability to travel to certain locations. George Sten & Co Criminal Lawyers have extensive experience in defending assault charges and are able to ensure the best possible outcome is achieved for a person charged with assault. To be convicted of committing an assault, the police or prosecution are required to prove to the court that an accused person committed certain acts, which caused a victim to fear violence. There are certain elements, which the prosecution must prove to exist in the facts through admitting evidence. Further, the evidence the prosecution seeks to admit must be admissible. There are specific rules of evidence, which regulate which evidence is admissible and which evidence is not. Defending an assault charge is not a simple task. For this reason it is essential to retain an expert criminal defence lawyer to ensure the best possible outcome is achieved in your criminal matter. It is often unclear exactly what may have occurred at the time an assault is alleged to have happened. It is the criminal defence lawyer’s task to challenge the evidence the prosecution seeks to rely on in order to ascertain whether or not the accused is guilty beyond a reasonable doubt. Even an accused person or an alleged victim may not be aware of what happened at the time an assault is alleged to have occurred, either by way of intoxication or any other factor which may have an effect on a person’s recollection or memory. It may be possible for an assault to have occurred however the prosecution seeks to rely on evidence, which has not been obtained lawfully. In this situation, whilst an accused person may have committed an assault, the prosecution cannot use this evidence against the accused, as it is inadmissible. An accused person should in this situation be acquitted of the assault charge. For these reasons it is essential to retain an expert criminal defence lawyer who is able to properly challenge the evidence the prosecution seeks to rely on and defend the accused to the highest standard. According to the NSW Bureau of Crime Statistics and Research, from January to December 2017 there were 2151 counts of assault in the Penrith area. 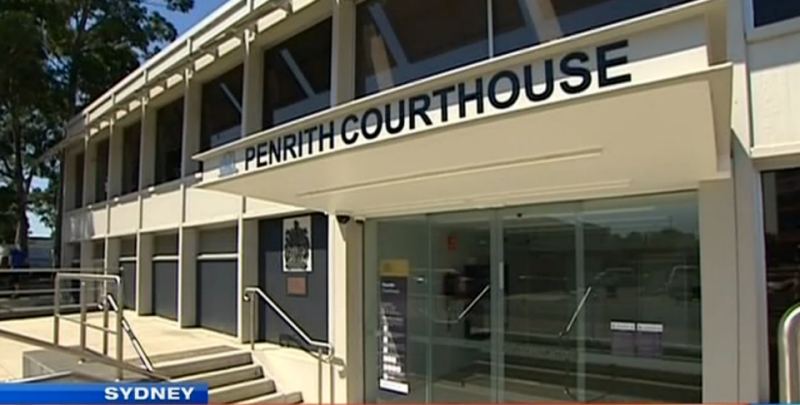 If you are charged with assault in Penrith or live in the area, your matter will begin in the Penrith Local Court. There are numerous forms of criminal assault and so depending on the nature of the alleged assault and the offence you have been charged with, this will determine the court your matter is finalised in. This may be the District or Supreme Court. There are a range of physical and verbal acts which may constitute an assault and an assault may occur without a victim being touched or experiencing any physical act. The gist of assault is that the victim feared violence against them. Therefore any act, which causes a victim to fear violence against them, may constitute an assault. Examples of acts, which may amount to an assault, include striking at a person with a fist or a stick or any object. Taking out a knife or throwing a bottle or glass towards a person may constitute an assault. Courts have also found assault to have occurred where a person has used unnecessary force to push through a crowd; where threats have been made via telephone and also where an accused person remained silent on the phone after calling the victim. Each of these matters involved an act by the accused, which caused the victim to apprehend violence. An assault has also been found to have occurred where a student was unlawfully imprisoned at a school after school hours by the school master. The unlawful imprisonment was the act, which amounted to an assault. It must also be shown by the prosecution that the act in question was voluntary and intentional and not accidental. Where an accused person accidentally causes another person to fear violence, an assault will not have occurred. If you have been charged with assault, it is essential to speak with a specialist criminal defence lawyer with experience in defending assault charges. George Sten & Co Criminal Lawyers have extensive experience defending persons charged with assault and ensuring the best possible outcome is achieved. This may include having the charge dropped, having the charge reduced or achieving a lenient sentence.